Where’s There’s a Will, There’s a Will. At the link is an interesting piece at WealthManagement.com that compares the reasons people gave in 1927 for not making a will with the reasons people give now. It’s worth a read if for no other reason than the photographs from those bygone days are great. A superstitious fear that making a will inevitably ushers in death faster. Mental laziness—putting off the process of working out the details of distribution and apportionment with a fair regard to what’s equitable and just. A sense of inadequacy to plan for the future. The dread of expense in paying for competent legal advice. I don’t want to think about dying. The belief that assets will automatically pass to the proper individuals. Drafting a will is expensive. The belief that only wealthy people need wills. Not ready to make important decisions. Avoid dealing with family issues. Reluctant to discuss personal details with an attorney. Unaware of the consequences of not having a will. So go get that will. Tell the world who gets what when you die and who you want to be the guardian of your minor children. Just do it. Or let your state’s law of intestacy do it all for you. So you have a will and maybe a revocable trust, documents you’ve paid your attorney good money for. And in your will–and probably in your trust as well–you’ve said you want this item of personal property to go to him and that item to go to her and some other item to go to someone else. And weeks, maybe months or years later, you’ve acquired some more personal property–tangible things like rings or paintings or bikes or books or even a new car. Is it time to return to your attorney and revise your will or trust? Maybe. Maybe not. For many of you, it’s maybe not, at least for those of you in Utah or Wyoming. You see, both of these states as well as some 40 others, allow you to “add” those new items to your will with what is called a personal property memorandum. It’s a simple document that is essentially a place to list each item you want to dispose of at death. Simply jot the name or description of the item on the memo, then right next to it, write the name of the person or organization you want to receive it when you die. My will referred to a list of tangible personal property. This is such a list. To be even more clear, you might include serial numbers or other identifying characteristics of each piece of personal property. You might add the address, even phone numbers of the person or persons who will receive that property upon your death. But you get the idea: the personal property memorandum is a relatively simple document. Now, if it were me, I’d probably still consult my attorney about something like this, just to make sure I get things rights. But the relevant statutes are pretty clear: If the will refers to a written statement or list of the sort described above and if that list exists at the time of your death, is dated, signed by you, and includes “a description of the items and [persons who are to receive those items] with reasonable certainty,” that personal property memorandum will do the job intended. See for yourself at Wyoming Statutes Annotated § 2-6-124 or at Utah Code § 75-2-213. Yankee’s short piece could have been even shorter, had he talked to me first. 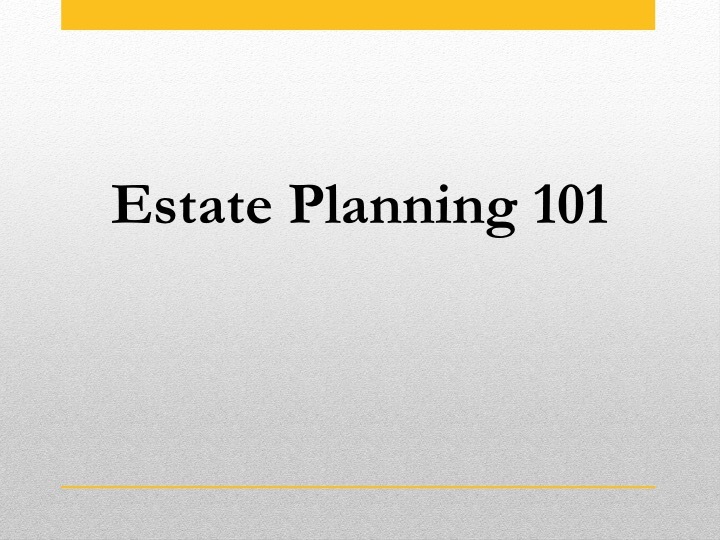 The best way to take the stress out of estate planning is to get it done. To do it now. To be done with it. Courtesy of the ABA, here’s a link to an on-demand webinar that should answer a lot of your questions about estate planning. As the brief description of the webinar says, “The program is intended for the general public and does not require a background in the law of wills or trusts or tax.” Click on the link near the bottom of the page, enter your e-mail address and a few other details, and you’re set. The webinar is 1 hour long and covers a lot of issues. If you have any questions, feel free to contact me. By the way, access to the webinar ends in October 2015, so take advantage of access now.